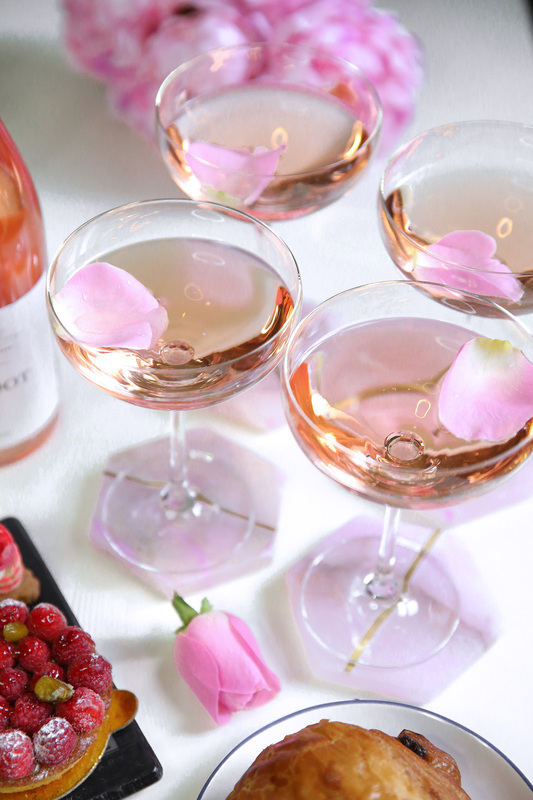 Memorial Day Weekend is finally here and that means summer whites and rosé season is in full swing! 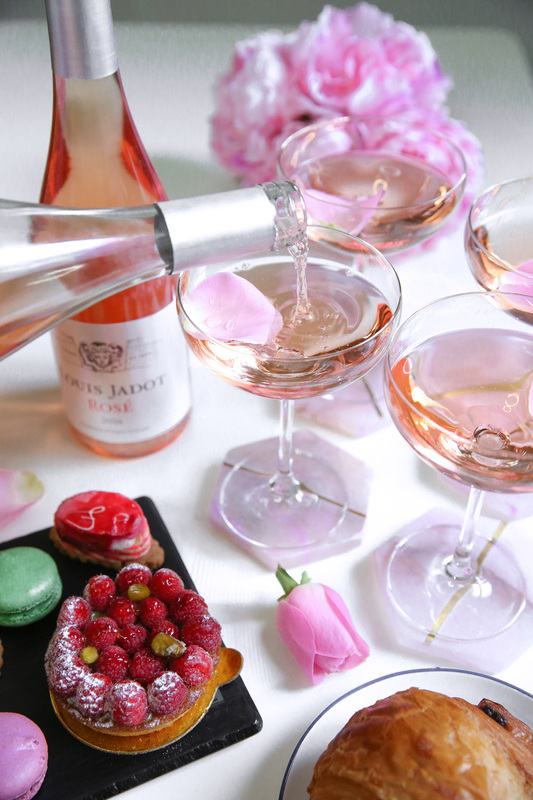 Today, I’ve partnered with Louis Jadot to share a spread that anyone with a taste for French sweets will enjoy. If there is one thing my last trip to France renewed, it was my love of summer’s quintessential adult drink, rosé wine. This why I am so excited to start the season off by indulging in my favorite sweets. I couldn’t ask for a better brand to work with either. 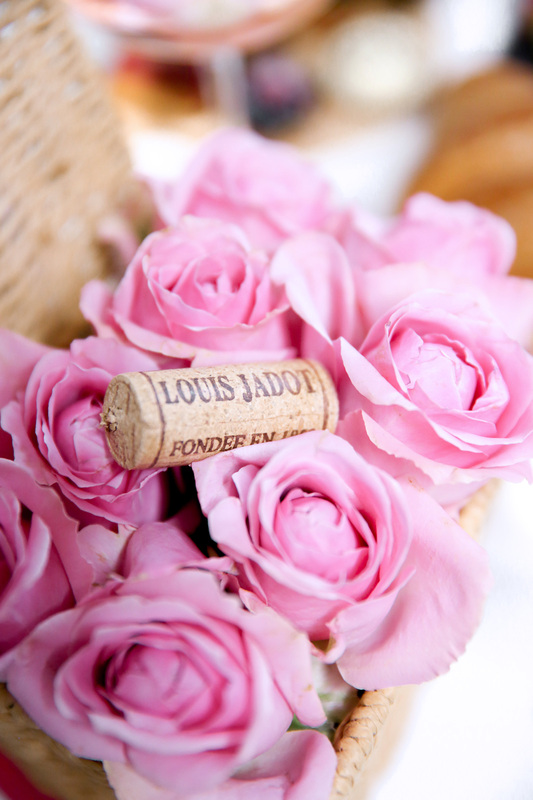 Louis Jadot is the #1 French wine in the U.S. and just launched rosé! 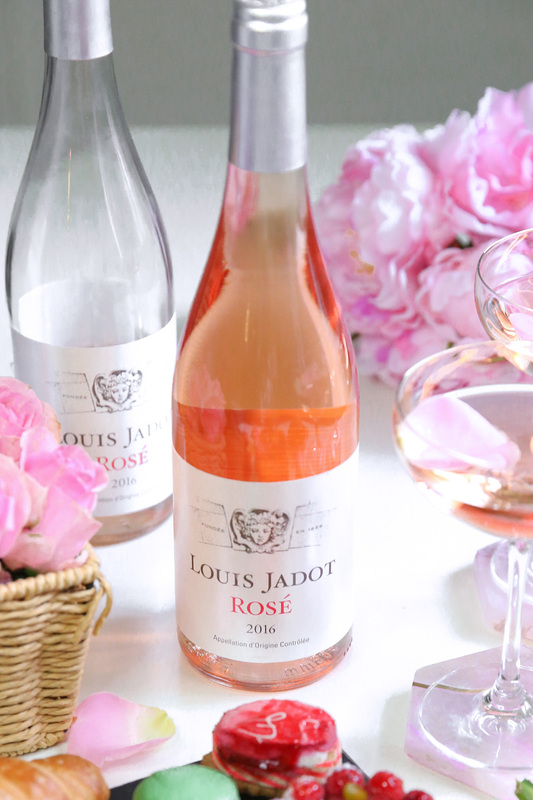 What I love about the Louis Jadot rosé is the flexibility — with notes of raspberry and currant — its fruity and floral and pairs well with many things. While I am showing pastries here, I would definitely enjoy it with a charcuterie plate with goat cheese and figs. Enjoy it with any mood! For fun (because it’s summertime), I am serving it in vintage coupe glasses (Gatsby-style!) with a feminine flair to it. I love the addition of roses into the spread and an overall pink theme perfect for a summer rosé fête with your girlfriends. A rose petal in the glass is a pretty accoutrement I picked up dining out. 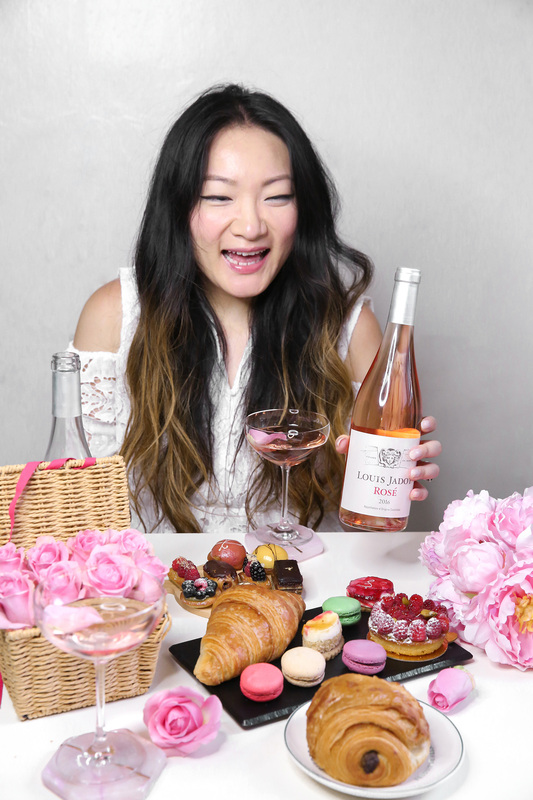 I wanted to keep the entire vibe quite French and DIY-ed a mini basket I brought back from the South of France into a roses “box”. How beautiful are these pink and gold coasters I found? 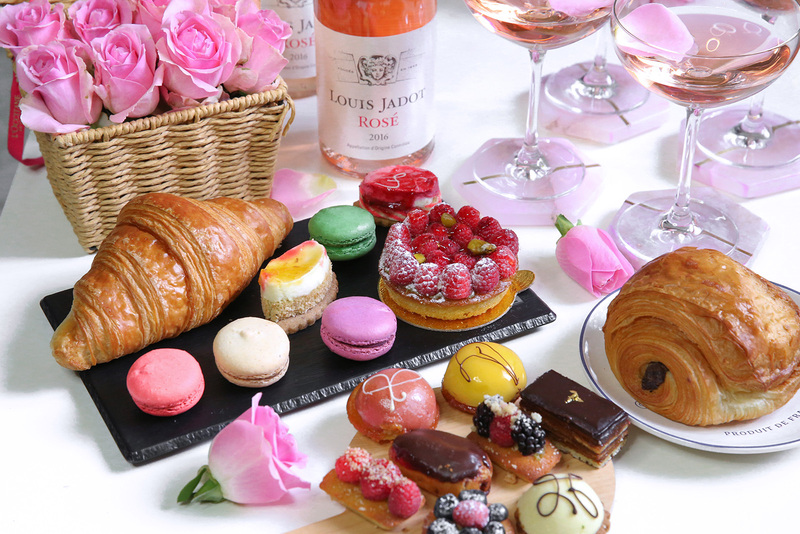 Pastries range from assorted petit fours, raspberry tart, croissants and macarons! Who else is ready to enjoy the warm weather and start having meals outdoors? 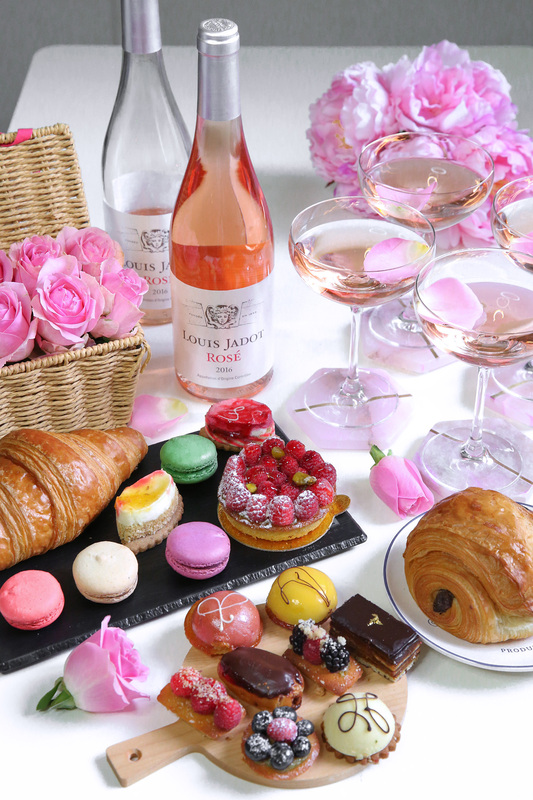 Isn’t rosé an absolute dream? and I absolutely love rosé in those classes, it looks so feminine.